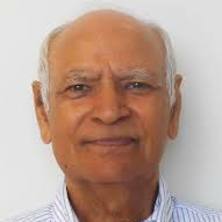 Professor Ram Dalal is a Professor in the School of Agriculture and Food Science at the University of Queensland, Brisbane, Australia. He has contributed significantly to create awareness in the farming, scientific and general community to the seriousness and insidious nature of soil degradation. As a consequence, restorative practices for sustainable land management were developed and promoted. The international nature of the program was demonstrated by the fact that it was part of the Tropical Soil Biology and Fertility Program. It is now nationally recognized by policy makers and politicians that land degradation and sustainable land management are the national and international priorities. These projects have made significant contribution towards these issues. In the last 30 years Dr Dalal has worked towards sustainable land management systems, nitrogen management and soil carbon dynamics. He was the co-leader of soil carbon program in the CRC for Greenhouse Accounting (199-2006), leader of soil carbon changes following land clearing funded by the Australian Greenhouse Office (1998-2002), reviewer for the IPCC Good Practice Guidance (2006) for the land sector, and leader of the National Soil Carbon Program (2012-2015) and Soil Constraints Initiative - Management of Sodic, Magnesic or Dispersive Soils (2015). He has been a consultant and project research contributor to the International Atomic Energy Agency (2004-2009). Recently, he has led a number of projects on estimating soil carbon stock following land use change from native vegetation to croplands, grazing lands, and management of croplands and grazing lands and rangelands (2009-2015) funded by the Department of Environment and Heritage, Department of Agriculture, Fisheries and Forestry and Department of Agriculture, Commonwealth of Australia. In addition, he has also been involved in estimating nitrous oxide and methane emissions/ uptake from different ecosystems including agriculture, grassland, plantation forestry and estuarine/ mangrove systems (2000 – 2015). He led the National Soil Carbon Program from 2012 to 2015. My research programs created or contributed significantly to create awareness in the rural, scientific and general community in Queensland, nationwide and internationally to the seriousness and insidious nature of land degradation, carbon loss, sustainability indicators and landscape processes that lead among others, to poor soil and land quality, fertility decline and stream and groundwater quality deterioration. For the last 25 years, landscape restoration, soil organic matter management, carbon sequestration and nitrogen management, and site-specific management for soil and subsoil and other constraints and sustainable crop and pasture rotations and vegetation management have been the central research platforms across cropping, rangelands and forestry ecosystems. The international nature of the program is demonstrated by the fact that it was one of only two sites listed from Australia with the International Tropical Soil Biology and Fertility Program. The Fertility Restoration Site of this program was frequently visited by national and international scientists. Policy makers and politicians now nationally recognize that land degradation, carbon loss and landscape degradation processes lead to deteriorating water quality, and that sustainable land, vegetation and water use, and greenhouse gas mitigation and climate change are the state and national priorities. These projects have been pioneer in Australia in these fields and made significant contribution towards resolving these issues, and provided impetus to initiating similar studies in Australia and worldwide. The overall aim of the project is to reduce poverty in the eastern Gangetic plains by improving the productivity, profitability and sustainability of smallholder agriculture. 1. Understand farmer circumstances with respect to cropping systems, natural and economic resources base, livelihood strategies, and capacity to bear risk and undertake technological innovation. 2. Develop, with farmers more productive and sustainable technologies that are resilient and profitable for smallholders. 3. Catalyse, support and evaluate institutional and policy changes that establish an enabling environment for the adoption of high-impact technologies from Objective 2. 4. Facilitate widespread adoption of sustainable, resilient and more profitable farming systems. Kopittke, Peter M., Dalal, Ram C. and Wang, Peng (2017). Soil physicochemical properties impacting upon animal and human health. In Bal Ram Singh, Michael J. McLaughlin and Eric Brevik (Ed. ), The Nexus of Soils, Plants, Animals and Human Health (pp. 34-41) Stuttgart, Germany: Schweizerbart Science Publishers. Is land condition a useful indicator of soil organic carbon stock in Australia's northern grazing land? What determines soil organic carbon stocks in the grazing lands of north-eastern Australia? Comments on "evaluation of the microwave irradiation method for measuring soil microbial biomass"
Weil, R. R., Islam, K. R., Wang, W. J., Dalal, R. C. and Moody, P. W. (2003) Comments on "evaluation of the microwave irradiation method for measuring soil microbial biomass". Soil Science Society of America Journal, 67 2: 674-677. Wang, W., Dalal, R. C. and Moody, P. W. (2001) Evaluation of the microwave irradiation method for measuring soil microbial biomass. Soil Science Society of America Journal, 65 6: 1696-1703. Weston, E. J., Doughton, J. A., Dalal, R. C., Strong, W. M., Thomas, G. A., Lehane, K. J., Cooper, J. C., King, A. J. and Holmes, C. J. (2000) Managing long-term fertility of cropping lands with ley pastures in southern Queensland. Tropical Grasslands, 34 3-4: 169-176. Soil microbial biomass - What do the numbers really mean? Scholes, M. C., Swift, M. J., Heal, O. W., Sanchez, P. A., Ingram, J. S.I. and Dalal, R. (1994) Soil fertility research in response to the demand for sustainability. The biological management of tropical soil fertility, 1-14. Dalal, R. C. and Henry, R. J. (1988) Cultivation effects on carbohydrate contents of soil and soil fractions. Soil Science Society of America Journal, 52 5: 1361-1365. Dalal, R. C. and Henry, R. J. (1986) Simultaneous determination of moisture, organic carbon, and total nitrogen by near infrared reflectance spectrophotometry. Soil Science Society of America Journal, 50 1: 120-123. Till, A. R., Blair, G. J. and Dalal, R. C. (1982) Isotopic studies of the recycling of carbon, nitrogen, sulfur and phosphorus from plant material. Cycling of carbon, nitrogen, sulfur and phosphorus in terrestrial and aquatic ecosystems, 51-59. Pringle, M. J., Allen, D. E., Payne, J. E., Dalal, R. C. and Marchant, B. P. (2012). Modelling the effect of soil type and grazing on nitrogen cycling in a tropical grazing system. In: Digital Soil Assessments and Beyond - Proceedings of the Fifth Global Workshop on Digital Soil Mapping. 5th Global Workshop on Digital Soil Mapping, , , (61-64). April 10, 2012-April 13, 2012.